If you read articles that offer budgeting advice, you might see an item that says you shouldn’t spend more than 25% of your income on housing costs. These days, it’s more of a challenge for renters to stay under that spending level. Why? According to the latest report from Zillow Group, which tracks rental housing affordability, the typical renter making the median income in the U.S. spent 30.2% of her income on a median-priced apartment. This is the highest rate since Zillow started keeping statistics in 1979. The average from 1985 to 1999 was 24.4%. The rise appears to be driven by greater demand for apartments and rental units. In the second quarter of 2015, due to strict lending standards, the U.S. homeownership rate fell to the lowest level in almost five decades forcing a greater number of people into the rental market. 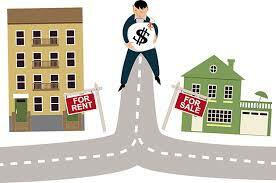 However, those fortunate enough to obtain mortgage loans appear to be much better off than renters. With today’s low interest rates, homeowners are paying, on average, 15% of their income in mortgage payments well below the historical average of 21%. Zillow found that rents were least affordable in Los Angeles, where residents were paying 49 percent of monthly income. The share in San Francisco was 47 percent, 45 percent in Miami, and 41 percent in the New York metro area.